Are you a professional photographer? 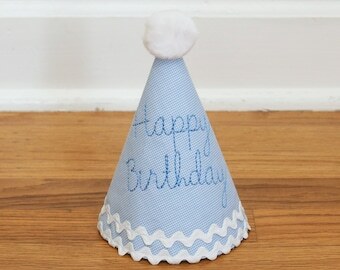 Contact me for special rates for birthday photo props!! Dainty Couture is the hot topic - check out our blog reviews! You can view more of our reviews in our Profile! Please read our policies section for more information regarding custom orders. 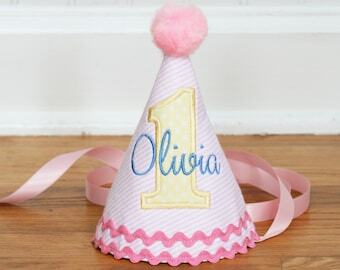 This birthday hat is absolutely adorable for my granddaughter and it came so quickly! I would definitely recommend DaintyCouture to my friends! Another great product, thank you! The hat was perfect! Thanks!! Our amazing custom trick or treat bags are back! Cute, totally functional, and completely handmade, these bags will last a lifetime! It's the newest addition to our darling little boy line! So thankful for what this weekend means. So very thankful. I am a stay at home mom of six and understand the importance of creating memories, especially fun ones! Dainty Couture was created to add a little icing to the cake and make every birthday a little more fabulous! 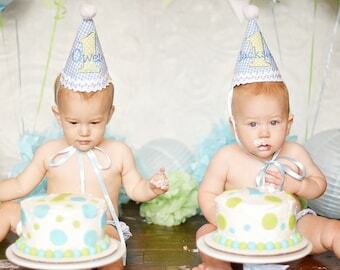 There are no details too small especially when it comes to a first birthday party! Welcome to Dainty Couture! If you are unsatisfied with any of our products, please contact us immediately. We specialize in custom items with lots of minute details. It doesn't happen often, but mistakes can happen. We are only human, too. We will work with you and do everything in our power (within reason) to make you happy with your purchase. Please contact us PRIOR to leaving feedback for your item. Once feedback is left, we are no longer able to offer refunds or other compensation. We are not responsible for any damage to the items that may incur during shipping. If you would like to purchase insurance on your item, please let us know and we will be happy to accommodate your request. Any cancellations must be requested within 24 hours of placing your order. No cancellations will be accepted for custom orders after this 24 hour time period. We accept paypal. You may pay by credit card or electronic check through paypal. Please note that your order will not be started until the funds clear. All cancellations must be done within 24 hours of the payment posting. We can't offer refunds for custom orders that are cancelled after this 24 hour period. All of our products are shipped Priority Mail via USPS. Items should arrive within 2-3 business days once shipped. Unfortunately, we have no control over the USPS but we do guarantee the item will be shipped with ample time to arrive by the date you specify. If you would like to expedite the shipping on your item, we will upgrade your shipping through the USPS and add the additional cost to your order. When ordering, please make sure you indicate the date of your event so we can ensure precise delivery. Since we custom make all of our items, we can guarantee delivery by the date needed, if enough notice is given. We try our hardest to mail them all as soon as possible but due to the nature of our custom order policy, we do need time to acquire the materials and construct your one of a kind order. Please allow at LEAST 10 days for the construction of your custom order BEFORE it's mailing date (not delivery date). We understand that sometimes items may be needed sooner. If you need your item in less than 7 days, please notify us so we can determine if a rush shipment is feesible. If so, we will create a custom listing with express shipping to ensure prompt delivery. Please note that if you request an item by a certain date in conversation prior to ordering the product and then you CHANGE the date in the comments section at checkout, I will NOT honor the new date. Thank you for understanding that this is unfair to me and my customers. 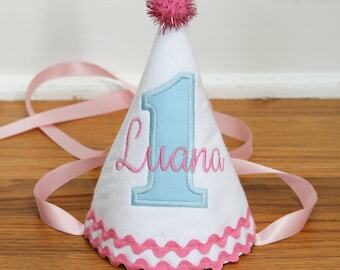 We love creating custom and creative items! In fact, that is what makes Dainty Couture so unique. You have the freedom to choose even the most minute details on your orders so it is perfect for your occasion! Since we've made so many of our items and we can personally see the items before they are created, we will make suggestions from time to time if we think a different color or maybe fabric selection would be more appropriate or work better. However, in the end, you get to be the creative genius for your custom order! How wonderful is that?! Keep in mind that once we finalize the order, your item will be created and shipped as you've requested. We are sorry but we cannot offer refunds or replacements for items that you have custom created and may not be as excited about in person. Keep in mind, regardless of the fabric and colors that may be selected by our customers, we guarantee excellent construction and quality products.